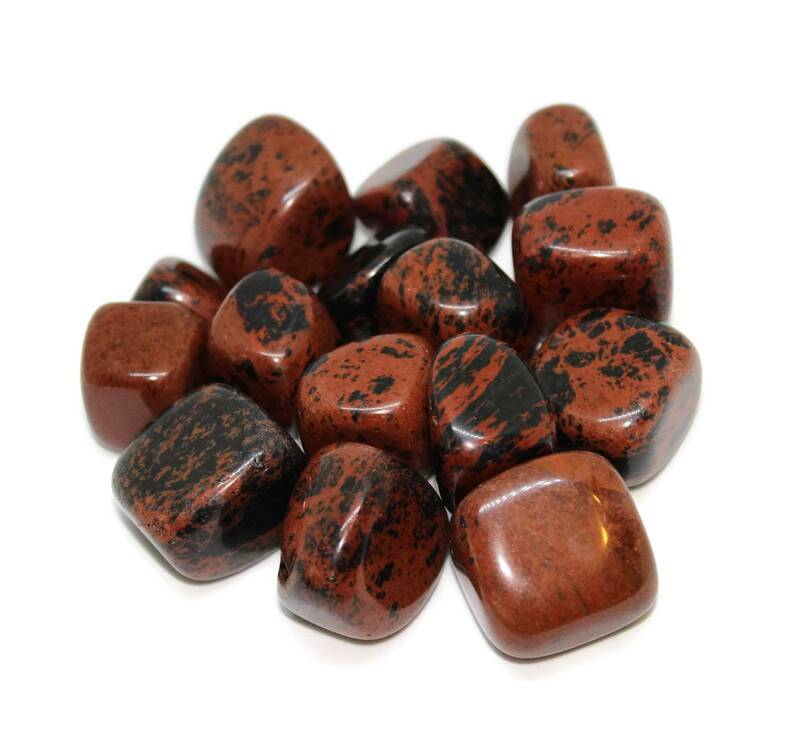 Tumbled Mahogany Obsidian pieces, sold in three sizes. 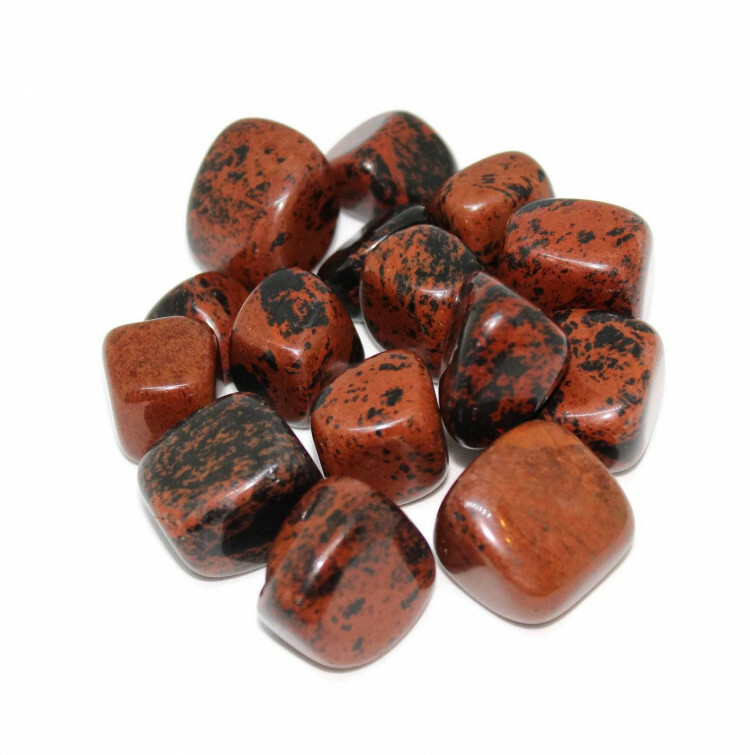 Gorgeous red and black Mahogany Obsidian tumblestones, available in three different sizes. Obsidian is typically known for being black, or being black with inclusions or shimmering patterns. These red and black pieces really do stand out, especially as they have good, strong colours, too – no low grades here. Because of their strong colours they make a nice contrast stone, and always remind me of a fire, or lava. Perhaps that is mostly because Obsidian is a volcanic glass – who knows. What do they remind you of or make you think about?